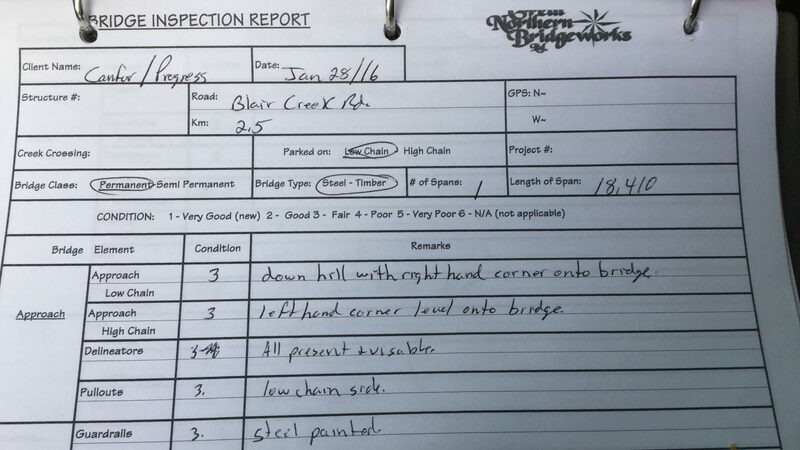 Great Northern Bridgeworks offers routine structure inspections, bridge loading upgrades, and post-washout inspections. We will assess your structure and determine what needs to be done to handle your project’s requirements. If a washout has affected your bridge, culvert or roadway, we will assess the situation prior to taking out the structure and determine the best next step of action to resolve the situation. For inquiries on bridge inspections and other routine structure inspections, call 250.785.7400.